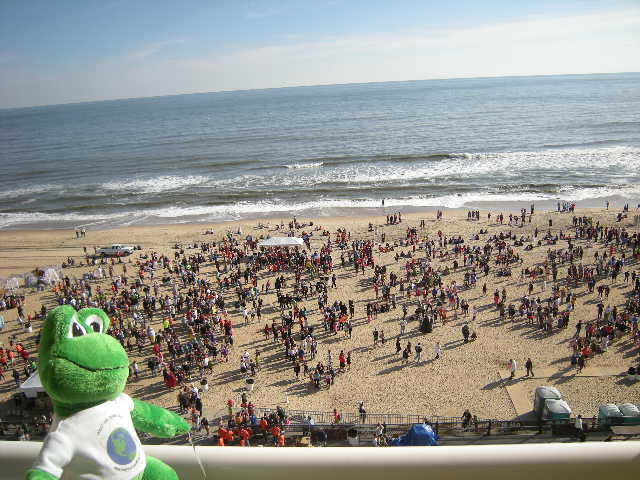 Polly #2 Had Fun in Virginia Beach! 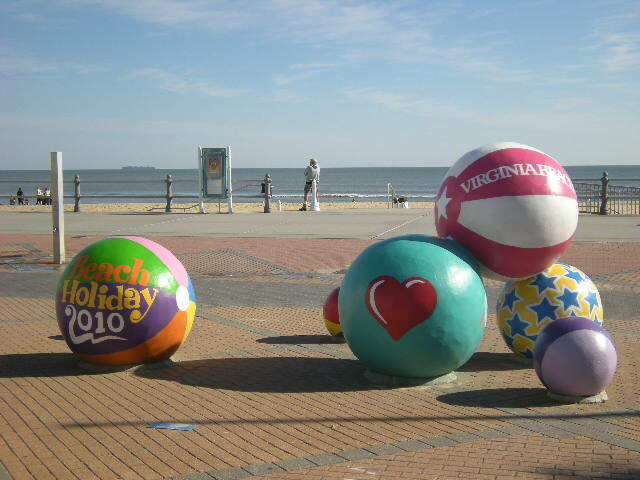 Virginia Beach is located in Virginia on the Atlantic Ocean at the mouth of the Chesapeake Bay. It’s a resort city that has wonderful beaches, beautiful hotels and great restaurants. 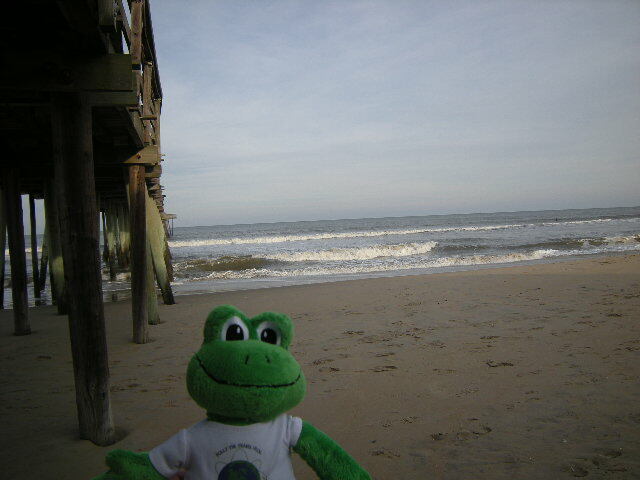 It has several state parks, two universities, three military bases, and several protected beach areas. 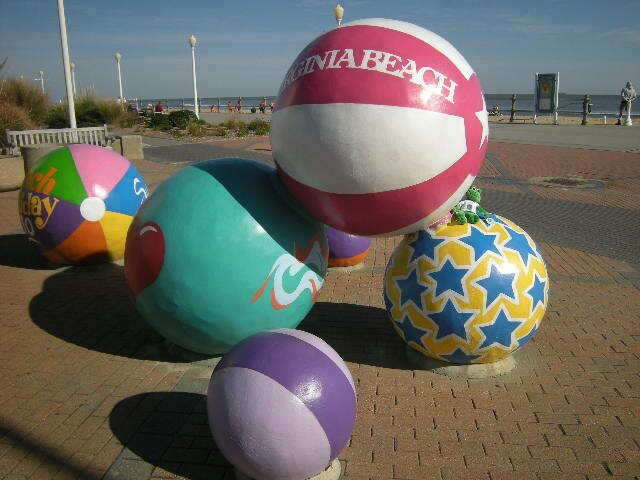 It’s listed in the Guiness Book of World Records as having the longest pleasure beach in the world, according to Wikipedia, and is located at the southern end of the Chesapeake Bay Bridge-Tunnel, the longest bridge-tunnel complex in the world. 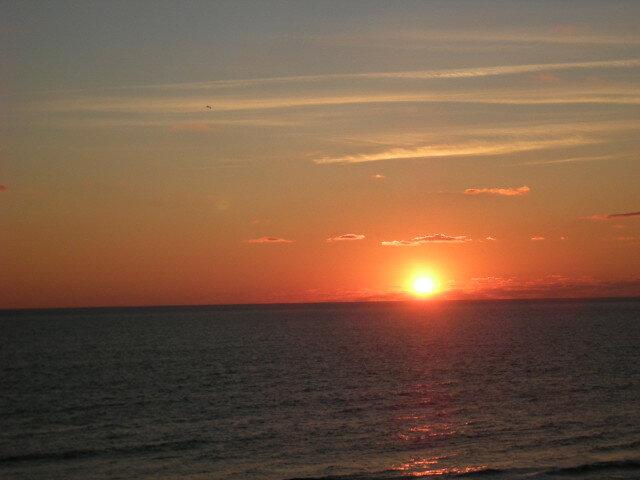 We had a beautiful sunrise on our first morning in Virginia Beach! 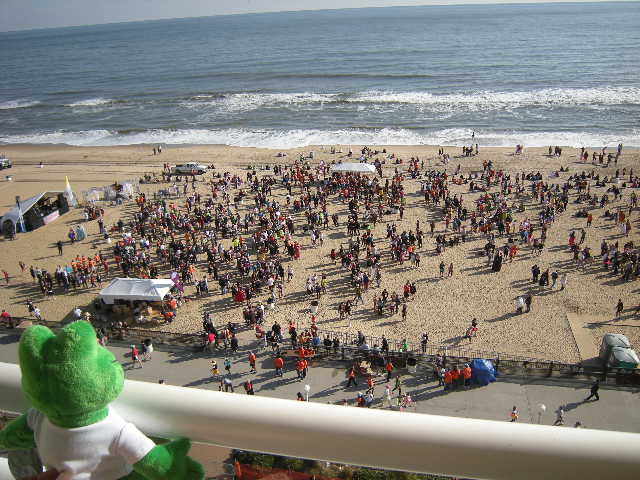 The second annual Wicked 10K took place in Virginia Beach on October 30, 2010, and was made up of a couple of different races. 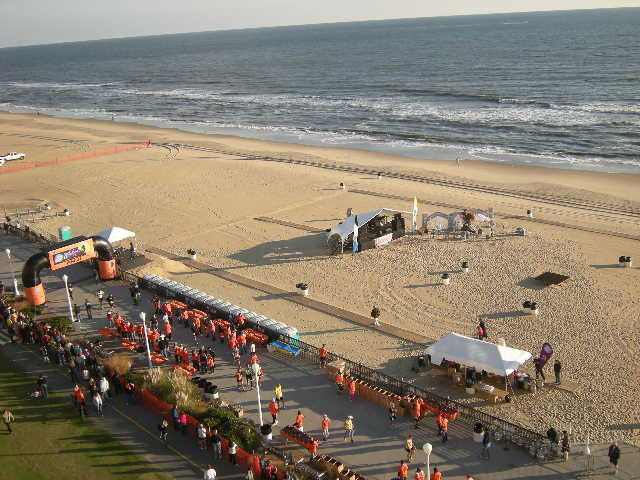 The 10K (6.2 miles) started at the Virginia Beach Convention Center and finished at 19th street on the boardwalk along the ocean. The Monster Mile was a one mile fun run that began at 21st Street and Atlantic Avenue and finished on the boardwalk at 19th street. In addition to the races, there was a costume contest and in order to be judged, you had to wear your costume during the race. 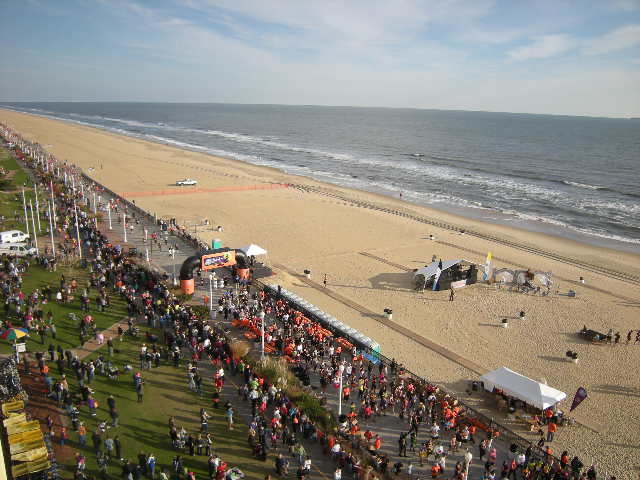 Some highlights of the day were live music, a post race party, approximately 7500 runners, medals for all participants, the costume contest and more. Money raised from the race is added to ForKids to help support “Hot Meals and Homework,” an after-school tutoring program that also provides a hot meal for the student’s entire family. ForKids offers emergency shelters, after-school tutoring like Hot Meals and Homework and mental and physical health services to help homeless children and families overcome their barriers on the road to self-sufficiency. Here are some of the first runners to come through the finish line! Polly #2 was excited to have a front row seat to watch all the festivities! There was live music to listen to while everyone celebrated after the race! 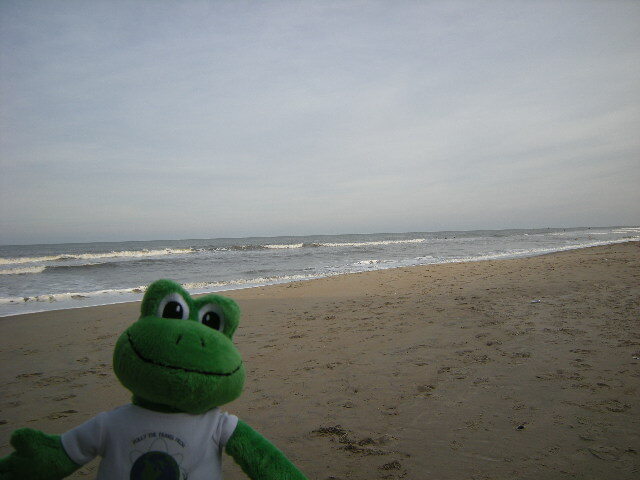 While we were at the beach, we did a bit of geocaching. It was a beautiful weekend and we found 9 geocaches and there were two we weren’t able to locate. Overall, we had a great time and really enjoyed spending time outside with the great weather we were having. 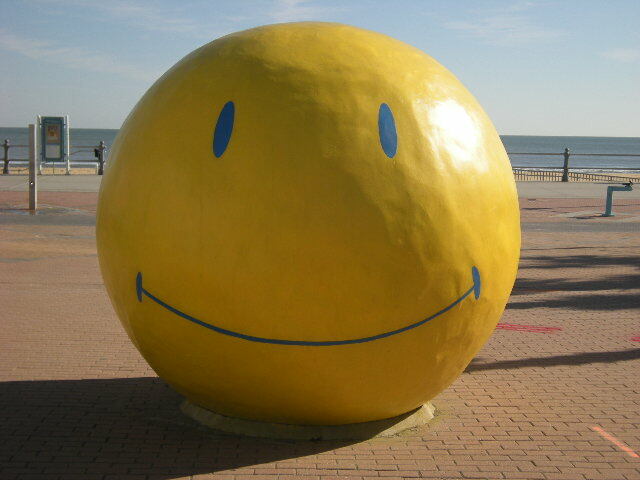 This is close to one of the geocaches that we searched for while at the beach. Unfortunately, there were a lot of muggles in the area and we weren't able to find it. Can you spot me in this colorful picture? King Neptune even looks huge from way up here! 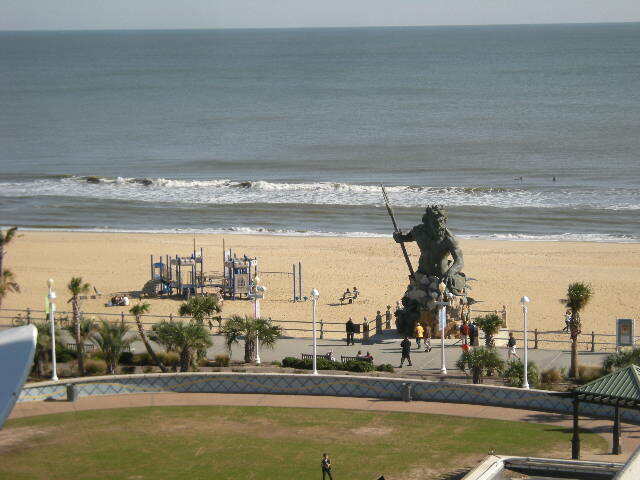 King Neptune is a 34 foot high bronze statue that overlooks Neptune Park at 31st Street & Atlantic Avenue in Virginia Beach. There is an annual Neptune Festival there and volunteers wanted a statue to honor the festival as wll as the city and it’s citizens. The volunteers raised private funds and commissioned The statue from Paul Dipasquale, a Richmond artist and sculptor. He designed and created the statue, and then went along with it to China where it was cast in Bronze. According to the festival’s website, it’s the largest cast bronze figure erected in the United States since the US Marine Corps Iwo Jima Memorial in Washington, D.C. Enjoying a beautiful weekend at the beach! Woohoo! This was a great post Polly #2! I would really like to see the King Neptune statue myself someday! Whoops! I meant to say sunrise! But while I have your attention, you mentioned geocaching again in this post. What is the coolest thing you’ve found so far? I think the coolest thing I’ve found so far is a travel bug that started out in the UK, and has a goal of touring the United States before returning to the UK.